Reading my Advent Devotional by Margaret Feinberg this morning, I came across this verse. It burned into my mind. Mary, Jesus’ mother, was exceptional. Told she would have a child, although she was a virgin and he would be the Son of God, she did not freak out. She was troubled and she asked for clarification. Which is different from doubting. Zechariah, who was married to Mary’s cousin Elizabeth, was much older than Mary and a priest no less, doubted the angel’s words that his wife, who was beyond childbearing years, would have a son. He did not believe what the Lord told him would be accomplished. He saw only impossibility. I wish I could say I’m like Mary but it’s Zechariah that I mirror. It’s that last part of the verse that’s the kicker for me. 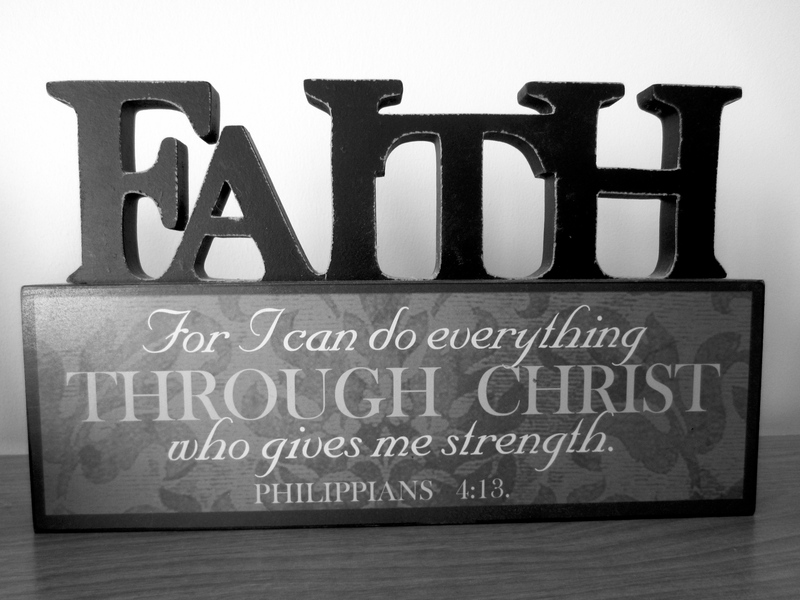 I can believe in God but honestly I don’t always have faith that what He has said will be accomplished. Instead I feel confident that some parts of what he said will happen. I readily accept that it won’t come about like I thought or hoped. Which is a cop out for me because then I don’t have to be disappointed when it doesn’t happen. Oh I believe in the big stuff. Salvation. Forgiveness. It’s the little mundane stuff that I have trouble with. The individual visions, he’s given us. Callings that he’s asked us to pursue. My faith is weak on this point. Sometimes God works in the ways I’ve described. We get to see pieces of the pie but not the whole thing. He doesn’t give us an answer to our “why”. Other times he does. He works in mysterious ways. Ways that we don’t understand and things come about very different from we imagined they would. Better than we could have dreamed. Other times we need to change our perception and accept a new way that we certainly didn’t think or want to occur. None of this is bad. We can never perceive how God works. He is the creator of the universe. He sees things that we don’t and never will. He is God. The issue is my attitude. Is it yours? We doubt so we won’t be disappointed. We’re skeptical because we’re too afraid of what will happen if it is accomplished. We sabotage our faith. What would our lives look like if we truly believed that what God said to us would be accomplished? Mary had faith in God. She believed he would be as good as his word. It carried her through some extremely tough times. To the birth of Christ and then onto the cross. I think in some ways Mary knew that what God said would be accomplished, went way beyond nine months. Maybe that’s where the fear comes instead of faith. We know that what God has told us is more than an event, it’s going to go on for years. It may be painful. We don’t want that to be accomplished. But the alternative? Zechariah doubted and was mute until John was born. Why mute? Maybe Zechariah needed to be silent so he could observe God at work. Become more in tune with him so that he would believe God. Period. Not being able to talk would give one a very different perspective on life! Is our skepticism causing some kind of muteness in our lives? Maybe it’s missing out on a deeper relationship with God. Maybe doubt is causing other things to become silent because there’s no faith there to keep them alive. Or it could be they are muted because we need to hear God before and more than anything else. Maybe what God told us He was going to do has become an idol. It’s about the endgame not about the God who will do it. We have focused on the result instead of letting the journey there bring us closer to the Father. The Father, who sent His Son, the salvation of the world, so that we could have relationship with Him. This is what it’s all about. He set out to have relationship with us. Doubt holds us back. Belief draws us close. Love this, Jennifer. Praying that we have Mary like faith today. Thanks Margaret. Really enjoying your advent devotional ! Thanks for sharing it with us.